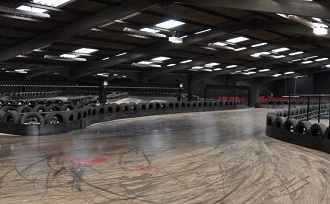 An impressive looking multi-level kart circuit right on the doorstep of Gatwick Airport and the M23. This really does have everything from banked corners to flyovers ans multi-levels so if you're looking for something special then this is the place. There are a good range of race formats to choose from and the very professional staff will take good care of you so not to be missed. From J10 of the M23 travel south along Crawley Avenue. Turn right into Gatwick Road, right into Tinsley Lane North then right into Wheatstone close.